Slice and squeeze limes. 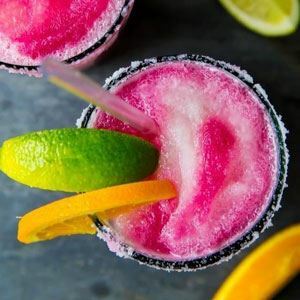 Use one lime to rim glasses with salt. Mix ingredients in cocktail shaker and pour over ice. *Freeze this drink for a while to make an icy slushie.